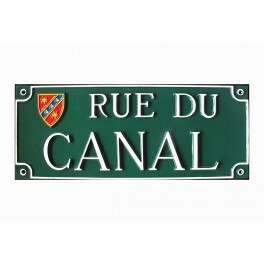 PLAQUE DE RUE FONTE D'ALUMINIUM AVEC LES TEXTES EN RELIEF. 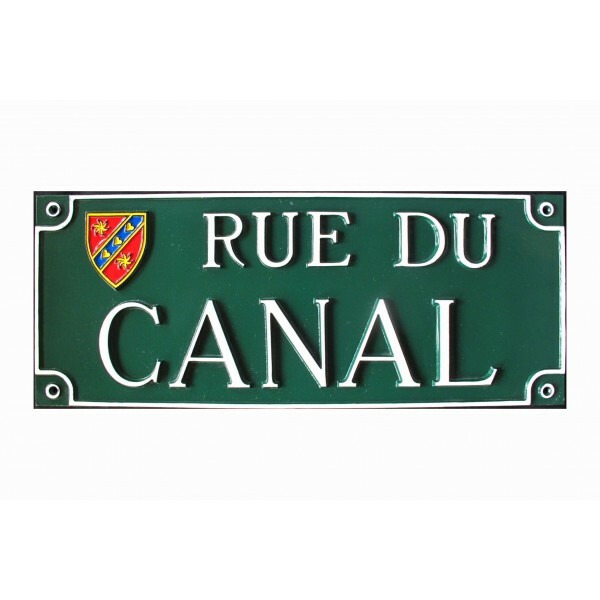 PLAQUE DE RUE PERSONNALISABLE. AVEC OU SANS ECUSSON. COULEUR DE PLAQUE ET DE TEXTE AU CHOIX, SELON UNE REFERENCE TYPE RAL.